We’ve been telling our conservative friends that Tuesday’s runoff election for the Alabama Republican Senate nomination was the most important election of 2017, and when we celebrated the nomination of Judge Roy Moore to be the Republican candidate in the Special Election to replace now-Attorney General Jeff Sessions a lot of conservatives acted like the game was over – it’s not. In our eyes the Alabama Senate runoff was the most important election of 2017 because winning the runoff meant cracking the Republican establishment and breaking Mitch McConnell’s corrupt hold on who represents Republican voters in the United States Senate. It was also the first opportunity since President Trump’s election to take the conservative – populist message of change in Washington DC to a statewide audience against an establishment Republican candidate. Had appointed Senator Luther Strange won it would have been an endorsement of the DC status quo and a rejection of the idea that Donald Trump’s victory was the start of a movement with life beyond the personality of Trump. Judge Moore won and his 10-point victory is strong evidence that the conservative – populist coalition is sustainable and bigger than a cult based on the outsized personality of Donald Trump. But Judge Moore’s hard-fought victory in the runoff does not put him automatically into the United States Senate; there’s still the General Election on December 12 where Judge Moore will face the Democratic nominee, Doug Jones, a former United States Attorney for the Northern District of Alabama, who was appointed by President Bill Clinton. * Everyone has the right to quality, affordable health care. * We must restore Alabama’s trust for its elected leaders. * I will defend a woman’s right to choose and stand with Planned Parenthood. * All children deserve a first-class education regardless of where they live. * College must be affordable without burdening a student with overwhelming debt. * I believe in science and will work to slow or reverse the impact of climate change. * It is past time we raise the minimum wage to a livable wage. * Women must be paid an equal wage for equal work at all levels. * Voter suppression is unAmerican – we must protect voting rights. * Discrimination cannot be tolerated or protected. America is best when it builds on diversity and is welcoming of the contributions of all. Despite his embrace of a Far-Left Obama – Clinton agenda, Jones has already shown evidence that he will not go quietly or simply roll over in the face of Alabama’s strong conservative majority in statewide elections. "After years of embarrassing headlines about top public officials in this state, this race is about the people of Alabama and about choosing a candidate with character and integrity they can be proud of," Jones said in a statement quoted by CNN after Judge Moore's win was announced Tuesday night. "I will never embarrass the people of Alabama. I am running so the people of Alabama can be proud of their next senator." The Washington Post reports that Far-Left progressive groups, intrigued by the stark choices and tricky electoral math, are increasingly interested in the race. The Post says Daily Kos, a progressive blog that has crowdsourced millions of dollars in donations to other special-election candidates, will decide in October whether to back Jones. On Sept. 21, MoveOn.org endorsed Jones after 98 percent of its Alabama-based members urged it to do so. “National Democrats should follow Jones’s lead and vigorously contest congressional seats in all parts of the country,” said Matt Blizek, director of election mobilization for MoveOn.org. The Democratic National Committee has shared its latest voter file with Jones’ campaign and is helping him add staff after the primary. The Washington Post also reports that former vice president Joe Biden, who has known Jones since the 1990s and encouraged him to make a run, recorded a robo-call for his primary bid and plans to return to Alabama on Oct. 3 to stump for him. American Bridge, a progressive opposition research group, prepared a 21-page memo of research to help Jones and other Democrats target Judge Moore reports the Post. All of this Far-Left work and building interest in Jones’ candidacy comes in the shadow of the millions of dollars Mitch McConnell poured into the runoff to pound Judge Moore with personal smears and false ads about where he stands on the Trump agenda. Conservatives should also remind themselves that the Far-Left put over $32 million into the June 19 Special Election campaign of Jon Ossoff, a complete zero running against accomplished conservative Karen Handel in Georgia’s Sixth Congressional District, so money will be no problem for Jones if his campaign becomes the progressive cause du jour. 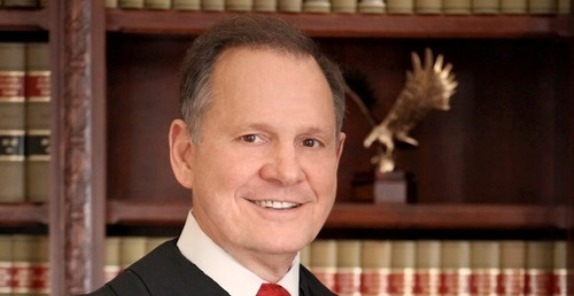 Judge Roy Moore is everything the Far-Left hates about conservatives and America. We predict they are going to throw everything – including the kitchen sink – at Judge Moore. Conservatives who celebrated Tuesday night, as we did, have had a night of fun and a day of rest, we should not fool ourselves into believing we can sit back because Judge Moore has been outspent before and still won. Now it is time to get back to the hard work of repairing the damage Mitch McConnell’s scorched earth politics did to Roy Moore by raising money and organizing precincts to make sure Judge Moore wins the December 12 Special Election. CHQ Editor George Rasley is a veteran of over 300 political campaigns, including campaigns in every Republican presidential campaign cycle from 1976 to 2012. He has served as a consultant, staff member or advance representative for many of America’s leading conservative candidates and elected officials, including President Ronald Reagan, Vice President Dan Quayle and GOP vice presidential nominee Jack Kemp. In the 2008 campaign he served as lead advance representative for GOP vice presidential nominee Governor Sarah Palin. Submitted by jml2621 on Fri, 09/29/2017 - 12:00. A one of the last true conservative left in this country, it sickens me to see Theocratic bigots, Tea Party anarchists, and alt-right neo-nazis propped up and hidden behind conservative values. Do better!